By Ryan Whitwam on April 30, 2018 at 1:11 a.m. 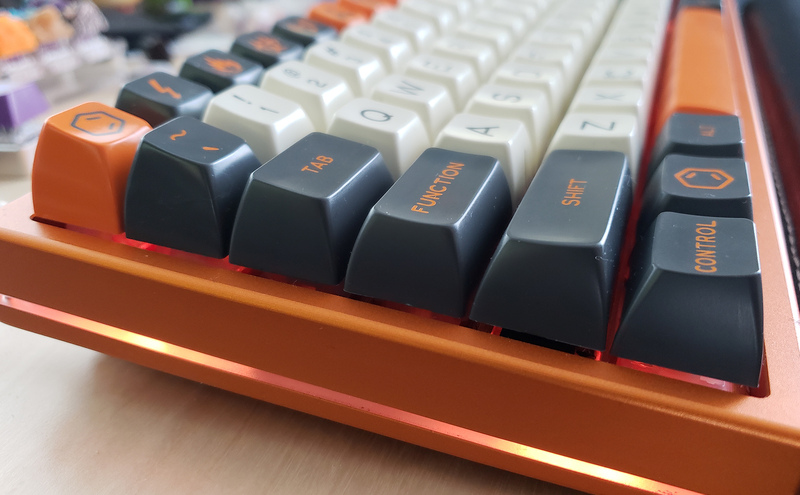 The SA profile looks great, but get ready for long waits. Mechanical keyboards themselves are something of a throwback to an earlier era. Decades ago, all keyboards were mechanical, and they tended to have very high-quality keycaps. You've probably seen old keyboards and typewriters with tall, shiny keycaps. That style is very "in" again thanks to the popular SA keycap profile. These retro-style caps are made by just two manufacturers right now, and the production queues can be brutally long. Still, people snap up SA keysets every time they go on sale. The SA profile was created by Signature Plastics, a manufacturer based in Washington state. The term "SA" stands for "spherical all rows," but that's something of a misnomer now. The "all rows" bit means that all the rows are the same, which used to be the case. Most sets produced now are sculpted, so the rows above and below the home row curve to meet your fingers at a more comfortable angle. It's like GMK's Cherry profile, but taller and more aggressive. Check the image below for a comparison between the top row for Cherry and SA. The vast majority of SA sets are double-shot ABS, not unlike GMK sets. However, the shape of the keycaps is entirely different. SA caps have more space inside, which gives them a somewhat hollower sound. 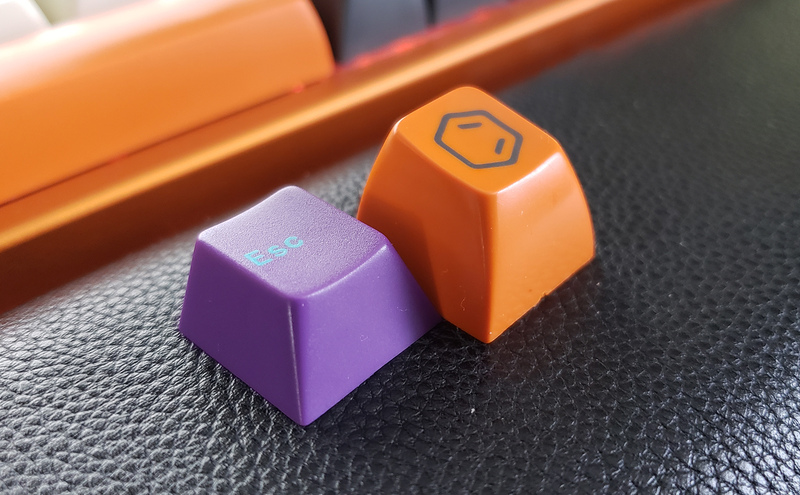 They're still double-shot, though, so the legends are part of the first shot, and then the second shot fills in the shape of the keycap around the legend. These legends don't fade, but you need new tooling for each custom legend. That tends to make SA sets quite spendy. Although, that has not stopped people from buying them in record numbers. 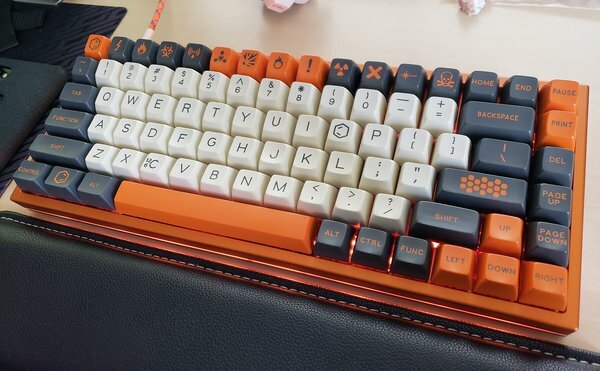 SA sets are some of the most popular ever released with the likes of Carbon (pictured here), Penumbra, and Pulse valued at hundreds of dollars per set in after-market sales. You might be able to get a base set for around $120 in the group buy. There have been so many enormous orders for SA sets that Signature Plastics is sometimes booked out almost a year. So, you order the set in a group buy, and you get the caps about a year later. I know, wild. This situation led a manufacturer in China called Maxkey to create its own SA-style double-shot molds. Maxkey sets only started shipping about a year ago, but the wait isn't as outlandish. These sets only take three or four months to ship, but the quality isn't quite up to SP's level. Thankfully, the additional manufacturer and expansions at SP have taken some of the pressure off—SP's queue is about seven months currently. Visually, SA keycaps are amazing. The sculpting and height are more aesthetically pleasing than any other caps I've seen. Most would probably agree they're not as comfortable to type on as Cherry profile caps, though. It's a tradeoff, but one that plenty of people are happy to make. We'll talk about specific SA sets as they launch down the line.